The Framing Place & Gallery exhibits local artists’ including original fine art paintings, sculptures, mixed media and pottery. We encourage you to visit our Huntsville location to see our selection of frames, estate sale paintings and high quality prints. We stand behind the work we do. Our mandate is to protect and preserve your art, as well as enhance its aesthetic qualities to suit your personal preferences and style. With over 25 years experience we invest care and creativity into each framing project. 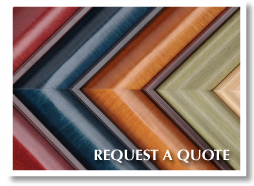 Our design specialists are passionate about their expertise and are committed to assisting you in choosing the perfect combination of colours and materials for your framing project. 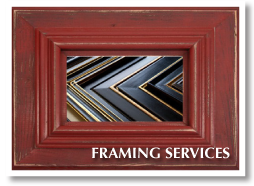 Our professional custom framers complete the framing process from start to finish on site. We all love to get creative, and thrive on a challenge, so we can frame just about anything. We exhibit and sell original fine art by Canadian artists. Featuring artists such as Dan Werstuk, Beverley Hawksley, Meghan Irvine, Gerry Lantaigne, Sheila Davis and Kelly Dodge plus estate sale pieces and historic Canadian art. 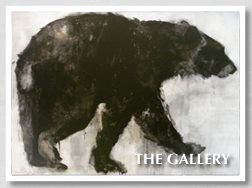 Visit the gallery and find that special piece of art for your home, business or cottage. We will also help locate artwork to suit your taste and needs if you require something more specific.